In the Earth full of metals and minerals, not all lithium is created equal. Much of the world’s current lithium production is derived from lithium-containing brine extracted from underground pools and concentrated by solar evaporation, the majority of which occurs in South America. Extracting economic lithium concentrate from brine waters involves evaporation in large ponds, is weather dependent, and may take one year or more. And, South America is a considerable distance from many end users in the northern hemisphere. Regardless of whether miners get their lithium from brine or pegmatites, long-term demand for lithium appears to be robust despite some short-term oversupply concerns. In a recent article, Benchmark Mineral Intelligence Managing Director Simon Moores commented that electric vehicle demand has sent the lithium price soaring threefold to US$22,000 per tonne during the past three years. And Mr. Moores believes battery manufacturing capacity will reach 441.5 GWh by 2023, rising to 870 GWh of capacity by 2028. He said Tesla alone is expected to increase its battery consumption by 61% in 2018. Its Gigafactory in Nevada is forecast to reach a capacity of 21 GWh, which will create new demand for 16,000 tonnes of lithium hydroxide. Tesla has made it known that it wants to source its lithium locally, but its options at present are limited. 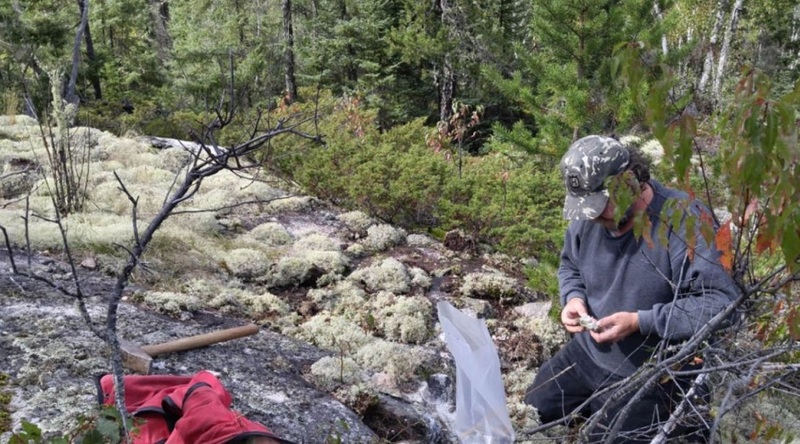 Nemaska Lithium Inc. (TSX:NMX) may be able to satisfy some of their future supply needs once its Whabouchi project in Quebec goes into production. To that end, Nemaska’s ability to raise C$1.1 billion for this endeavour shows that there’s an investor appetite for hard-rock lithium projects in North America. Investors searching for the next big hard-rock lithium play in Canada might want to look at Manitoba. Azincourt Energy Corp. (TSXV:AAZ) and its joint venture partner, New Age Metals, have recently become the largest claim holder for lithium projects in the Winnipeg River Pegmatite Field, with eight projects totalling more than 14,000 hectares following the acquisition of the Cat Lake Lithium Project, announced on June 6, 2018. 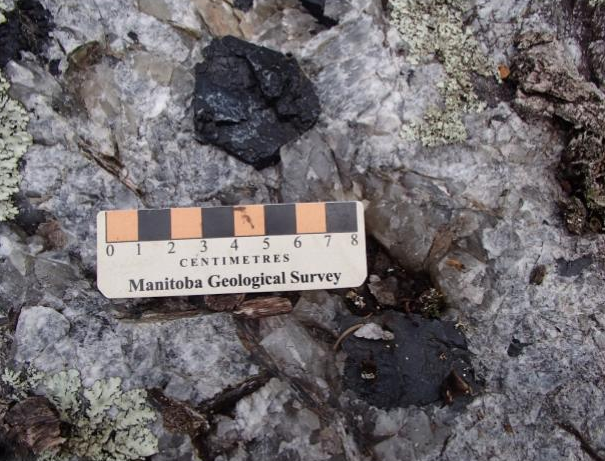 The Winnipeg River Pegmatite Field is thought to host several large lithium-bearing pegmatites, and there has been a few juniors, such as Far Resources and Quantum Minerals, who have been increasing exploration activity in this region. Since 1969, The Tanco Mine, owned by the Cabot Corporation, operated in the area and was one of North America’s only producers of tantalum and cesium, as well as lithium minerals from spodumene. A 1992 (non NI 43-101 compliant) reserve estimate from Tanco showed 3.5 Mt of 2.7% Li2O. To put that into perspective, Nemaska’s Whabouchi project has open pit Proven & Probable reserves grading 1.5% Li20. Despite these promising lithium exploration projects, Azincourt Energy wants to be known primarily for its uranium prospects. Azincourt holds a 10% interest in the Patterson Lake North uranium project, in the southwest area of Saskatchewan's Athabasca basin, a joint venture with operator Fission 3.0. Azincourt Energy also has an option to acquire a 70% interest in the East Preston project, a joint venture with Sky Harbour Resources. “We are first and foremost a uranium company but last year we decided to expand the scope of the company into other type of energy components and we liked lithium,” Azincourt Energy President and CEO Alex Klenman told TSX Media in a recent interview, adding that Azincourt wanted to expand in an alternative direction given that the uranium market tends to experience prolonged bear-market periods. Over the next couple of years, Mr. Klenman says Azincourt Energy will be mapping, sampling, and drilling its projects in the Winnipeg River Pegmatite Field to define a resource. Much of the historical work has been done on the Lithium One and Lithium Two projects. In particular, Lithium Two contains several known lithium-bearing pegmatites, with the Eagle Pegmatite being the largest known to date. Historical drilling (non NI 43-101 compliant) of the Eagle Pegmatite, in 1947, reported 545,000 tonnes of 1.4% Li2O drilled to 60 meters and opened along strike and to depth. And, a field review of the surface pegmatites in 2016 returned assays up to 3.04% for LiO2 for the Eagle Pegmatite. “We’re conducting 3,000 metres of drilling over the summer, concentrating on three lithium-bearing areas – the Eagle Pegmatite, the FD No. 5 Pegmatite, and the Silverleaf Pegmatite, which have historic samples as high as 8%,” says Mr. Klenman. On June 14, 2018, Azincourt Energy announced that its field crews have nearly completed the first phase of the 2018 surface field exploration on the Lithium Two Project. It is all part of its goal of producing a 43-101 technical report on Lithium Two by the first quarter 2019.
merely a general discussion of the merits and risks associated there with and is not to be used or construed as an offer to sell, a solicitation of an offer to buy, or an endorsement, recommendation, or sponsorship of any entity or security by Streetcents. The Reader should apply his/her own judgment in making any use of any Content, including, without limitation, the use of any information contained therein as the basis for any conclusions. The Reader bears responsibility for his/her own investment research and decisions. Before making any investment decision, it is strongly recommended that you seek outside advice from a qualified investment advisor. Streetcents does not provide or guarantee any financial, legal, tax, or accounting advice or advice regarding the suitability, profitability, or potential value of any particular investment, security, or information source. Streetcents and/or its affiliates and/or their respective officers, directors or employees may from time to time acquire, hold or sell securities and/or commodities and/or commodity futures contracts in certain underlying companies mentioned in this site and which may also be clients of Streetcent’s affiliates. In such instances, this is not an endorsement by Streetcents and/or its affiliates and/or their respective officers, directors or employees. Trading involves risk. You may lose your capital.